World Archeology: Why Everyone from the Mormons to the Muslim Brotherhood is Desperate for a Piece of Tutankhamun. 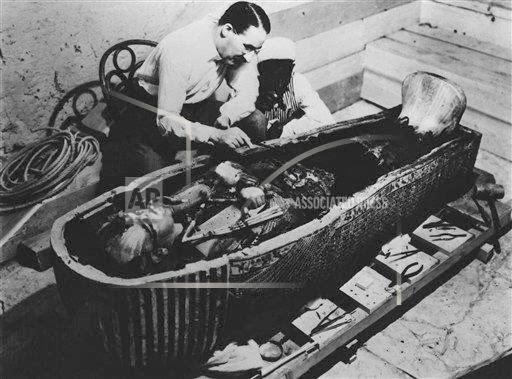 Why Everyone from the Mormons to the Muslim Brotherhood is Desperate for a Piece of Tutankhamun. …The possibility that Mormon researchers were trying to convert the ancients was a particular, peculiar threat to Egypt’s sense of self, but it soon became apparent that it wasn’t just the Mormons that the Egyptians were worried about: it was all foreigners. 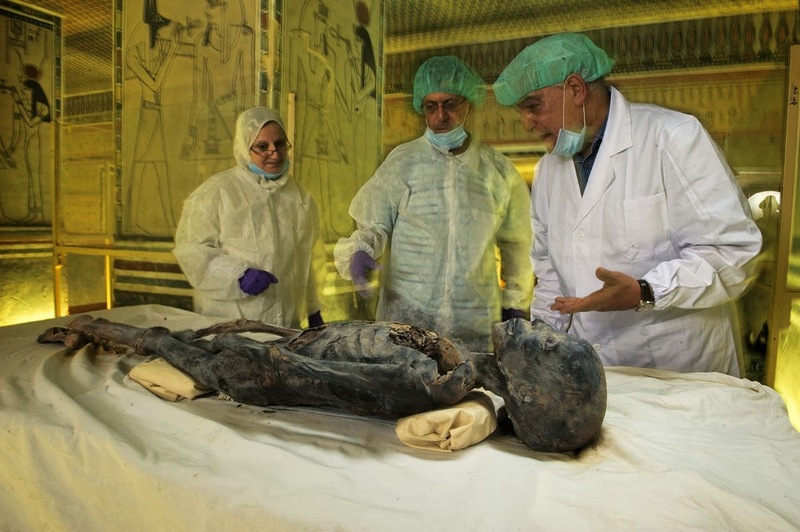 In 2000, Sakuji Yoshimura, the respected director of the Institute of Egyptology at Waseda University in Japan, secured the permission of Egypt’s antiquities service to test Tutankhamun’s DNA. He hoped to determine the king’s lineage by comparing his genetic code to that of several other royal mummies thought to be his relations. But Yoshimura’s project, too, was cancelled, reportedly, just an hour before he was due to take his samples in the Valley of the Kings. The excuse given by the authorities was brief and vague: security reasons. The press reported that the idea of anyone testing the mummies, even a team with impeccable credentials, had provoked anger within Egypt. Critics complained that foreigners were once again meddling with their country’s heritage, this time by trying to alter the established view of the pharaohs and their succession. One of those opposed to the project was Zahi Hawass, who was then in charge of the great pyramids at Giza. Hawass told a local newspaper that he refused to allow DNA tests on the bones of Giza mummies because there are some people who try to tamper with Egyptian history. Such a response is perhaps understandable after decades of interference by foreigners, but that does not necessarily make it a security threat. 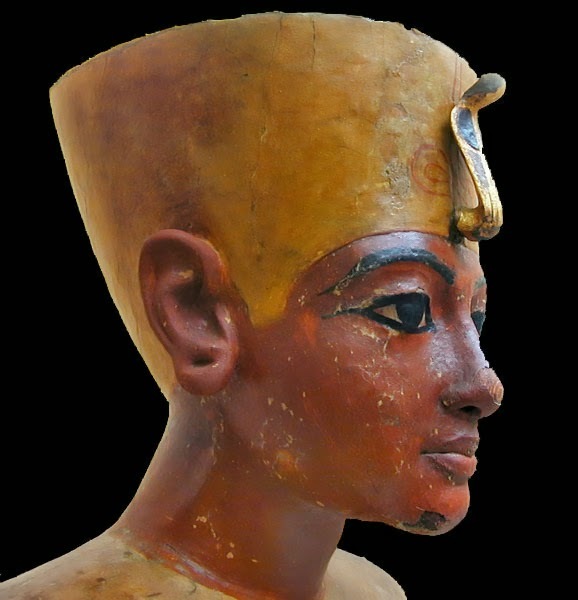 It seems the biggest fear, as with Woodward’s work, was something else: what the results of genetic data might show about Tutankhamun’s origins.